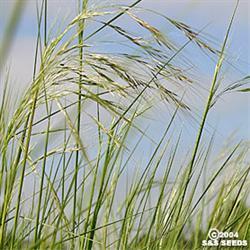 This needle grass is recommended for erosion control and does fantastic under native oaks. Its really easy to grow and its excellent for birds. It does well in clay soil but prefers well-draining soil.